Miller Brewing Company experienced breakdowns that were detrimental to our production process. On both occasions I contacted TigerTek, Inc. personnel for help. On May 3rd I contacted Ronnie Shough at 5:00 p.m. and explained that we had a motor that had failed on our B-10 line. He was here within thirty minutes and we talked about our options. He took the motor back to your shop and within three hours had a motor repaired and back to us and we were able to bring the line back up for production. On May 18th we had a major breakdown on our B-1 line. I brought parts to your facility and talked with you and Robert Lackey about the options we had for your company to duplicate the parts, since they were made in Italy. Again, your personnel worked on the problem and also worked the weekend to make the parts for us which helped us get our B-1 line back up and running. Peter, it is because of you and your personnel’s efforts that we were successful in both instances to avert being down for an extended period of time from production. It is efforts like these that separate your company and its service from the ordinary ones. We want to thank you for your help and efforts and hope you will extend this to your personnel. TigerTek's expert application engineers can assist you with your toughest automation needs. 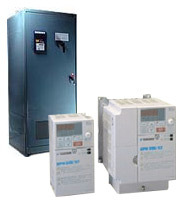 We have years of experience in selecting and installing the best possible variable speed drive for your application. If required, our in-house electronics repair technicians can provide after sale support to install the equipment and then to keep your equipment running smoothly. TigerTek can give you cost-saving prices on ALL brands. TigerTek is a distributor for Teco/Westinghouse, Baldor, and Leeson. 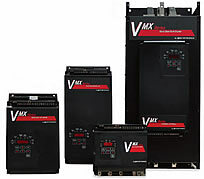 Reduced Voltage Starters are devices, which enable you to gradually accelerate an electric motor up to full speed. This reduces the in-rush current and gives you a nice smooth acceleration ramp. Solid-state starting provides smooth acceleration without the arcing, chattering, or vibration problems associated with conventional electromechanical motor starters. Wear on moving parts such as belts, chains, gearboxes, and bearings is reduced, thereby limiting maintenance costs and production losses. Line reactors help protect your motor, or drive, from failure caused by poor incoming line power (they can be thought of like the surge protector for your desk-top PC). Drives are susceptible to problems caused at their interface to the line or motor. Some of these issues include AC voltage waveform line notching or cross-talk, DC bus overvoltage trips, inverter overcurrent and overvoltage, and poor total power factor. 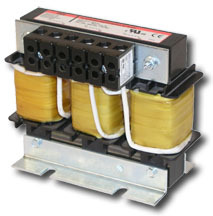 Three phase AC line reactors are intended for use as input filters for adjustable speed DC drives and as input or output filters for AC-PWM variable frequency drives. Drive performance is significantly improved, the drives input rectifier is protected from failure or damage, and drive harmonic demands are tamed. Line reactors act as interface buffers between solid state power circuits and the line or the motor. All drives, in any application, will benefit when applied with line reactors. TigerTek is a master distributor for Trans-Coil line reactors. 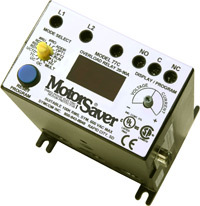 Motor protection products sense the power supplying a load, such as an electric motor, compressor motor or pump motor. If a problem is sensed with the supply power, which will damage the motor, then our protectors disconnect the motor before damage occurs to the windings. TigerTek's team of professionals is eager to assist with your application.